Cheese and Tomato are fine, but asparagus is (still) in season and during this time of the year I could live from just asparagus and strawberries! So I made some changes and turned this galette into a cheese-tomato-aparagus galette. 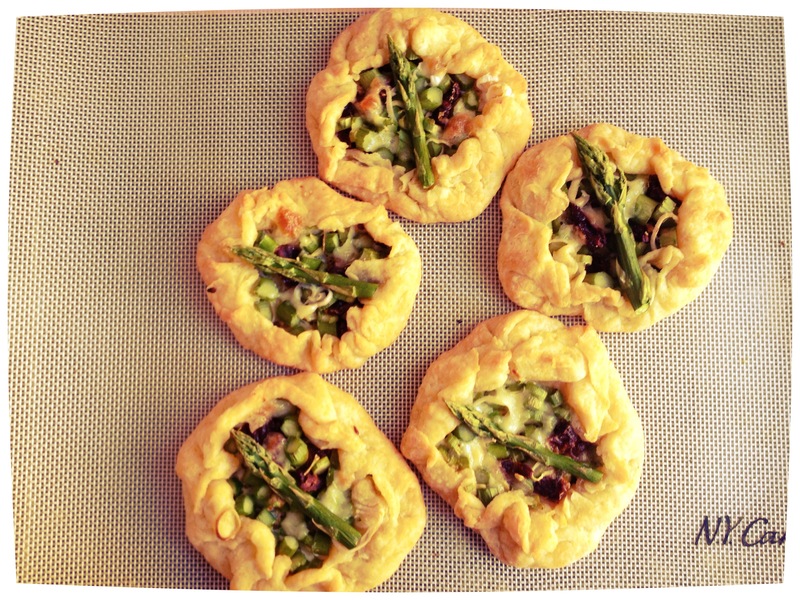 First, I made mini-galettes. I ended up with 5 pieces. Then I left out the Monterey Jack and spread the galettes with some buffallo ricotta I had left. Instead of fresh tomatos I used dried ones (the soft version), gave some leek and aparagus in small pieces on the dough, spiced it with lemon pepper and tarragon, and finished them with a thin aspargus head. But hey - that's still a galette with cheese and tomato!! I liked the dough already very much when we made the berry galette because it's a bit like a tart without tart-problems (like a dough getting to burnt or not enough brown). Here I used polenta, what is more or less the same as cornmeal in the end, but chrunchier. The taste was just great, even the next day when I brought them to office and me and my colleagues nibbled them away. And I really like recipes that allow a lot of variations. Try this recipe! It's fast, easy and tasty! I thought of mini galettes after I made the full size one. Great idea! I love them as mini. And yes, asparagus would be great with this and cheese. yum!!! Love the mini galettes what a great idea! The flavour combination you have used sounds delicious. That is the great thing about the galette you can pretty much put what ever you like on them. 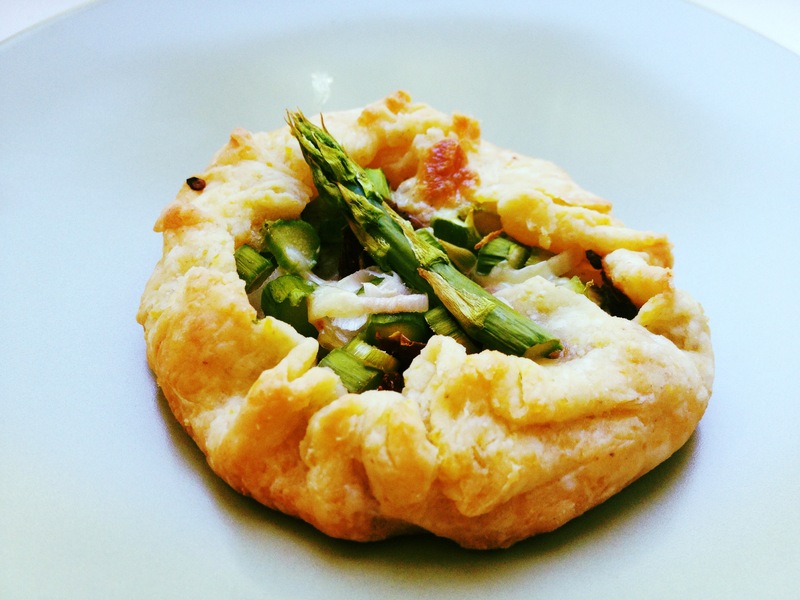 What cute galettes and what an inspired idea. Love the mini galettes! So cute.